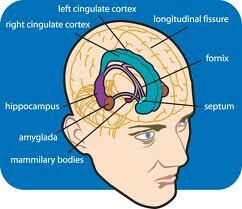 Are You Selling To The correct area of the brain? A new client of mine has this fantastic product, but he said he “finds it very hard to sell”. My belief is it’s such a fantastic product, so I said to him “it should be a cinch...let me listen to how you are trying to sell it”. Within 3 mins I knew exactly what they were doing wrong and it’s the BIGGEST mistake people do when it comes to selling their products, services or themselves. There are 3 areas of the Brain we should tap into when selling. 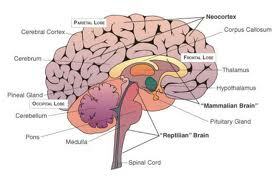 Most people in sales tap into one area the neocortex. The Neocortex is where you see all the grey matter of the brain, this is where most of our Logical and emotional conversation goes, when using big words, listing your features and benefits, showing numbers and graphs. Giving a heavy conversation that leaves our customers drained as this area of the brain uses a lot of energy and not making them feel compelled to buy. When the customer makes a decision it actually happens approx 8 seconds before they even realising they are about to buy. The area of the Amygdala which is just at the end of the spinal stem....a whole two who layers away from where most people communicate their products and services. Isn’t it time to take your business seriously and gain some real help? How much time and money have you wasted..trying to do it yourself? It's time to take a short cut to your business’s success and get a proper sales coach , ...not a life coach, not a business coach, a SALES coach, we are a different breed, we are the doctors of what business is all about making money. Understanding the psychology of what makes your customers tick, instead of continually pouring money and your precious hours down the drain. Knowing this information that we can share with you is what's going to seperate you from your competitors.